As a business owner, you worked long and hard to get your business off the ground. Now your goal is to make money. You do this by providing a great experience for your customers so that they are repeat customers and rave to their friends about how amazing your business is. You do this by making sure you offer the best products, convenient hours, and good prices. But what about the overall shopping experience? By this I mean do you take advantage of technology? In particular, do you take advantage of mobile card readers? In this post, I am going to walk you through how staying up to date with technology can propel your business into faster growth and a happier customer. What Are Mobile Card Readers? I’m sure you have seen a mobile card reader or mobile credit card terminal before, you just didn’t know the name of it. For many people, you experienced this device when a retailer swiped your credit card through a reader in their phone or tablet. This device is the mobile card reader. It allows merchants to accept credit cards from customers without the need for the employee to swipe your credit card on the cash register or using a point of sale device. Why Should A Retailer Use A Mobile Cash Register? There are two reasons why you would want to use a mobile cash register as a retailer. The first is cost savings. If you looked into the typical credit card terminals, you know how much money you have to pay for a unit. Then there are all sorts of ongoing costs and issues should the unit stop working. With a mobile card reader, you don’t have the upfront costs. Thanks to technology, companies can now offer you a reader for free and still be competitive in the processing fee they charge you. The second reason is better customer experience. Think about the transaction process as a customer. You want it to be easy, fast and smooth. The better each of these are, the happier you are and are more likely to be a repeat customer. Having the right mobile card reader ensures all three of these things. With a growing industry, there are a lot of players in the mobile card reader niche. One that stands out from the rest in my mind however is SumUp. With this mobile card reader, you can be up and running in less than 5 minutes. And when it comes to processing credit cards, they accept all major cards and the fees as merchant you pay are simple to understand. For example, look at most companies offering a mobile reader and you are looking at fixed cost per transaction plus a percentage of the sale on top. As a business owner, you don’t have the time to do the math to determine these added costs. With a reader from SumUp, you pay a flat fee per transaction. Simple and easy, the way I like it. Next, you want the reader to be easy to use. The offering from SumUp fits this criteria perfectly. It is straightforward both for the customer and the retailer. Finally, there are the intangibles. This means having a unit that looks like you are current with the times. Many readers I encounter look like a unit from the 1980s. I feel more confident buying from a retailer who presents their business in the best light possible. The other intangible is all about being convenient. The SumUp unit is wireless. This means you can place it anywhere you want and are not restricted by wires, or having the need to try to hide wires. Or, if you’re looking for a mobile card reader that can sync up with your ecommerce store, consider Shopify. Not only can their mobile card readers accept payments, they also integrate with your products while automatically updating your inventory, orders, and customer data. Shopify is the gold standard if you’re looking for all-around ecommerce solutions. In all, if you are a business owner, you need to take the steps to ensure your customers are repeat customers and not a one-time transaction. While you cannot guarantee this, you can take some steps in improving your odds. 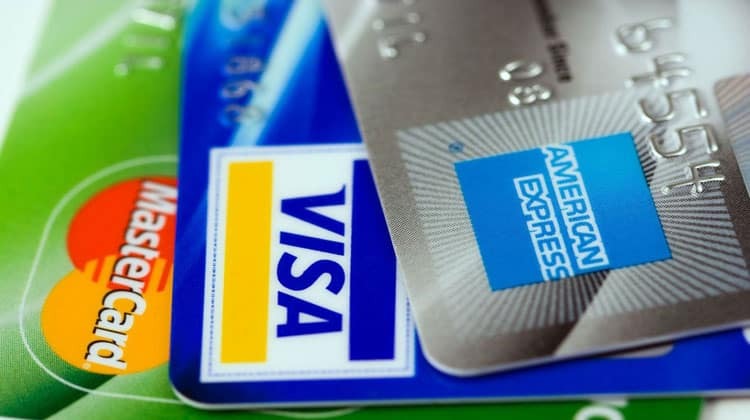 One easy way is to accept credit cards. We are moving to a cashless society so the sooner you start accepting credit cards, the better off you will be. The easiest way to get started is to use a mobile card reader. Yes, you will pay a small fee for processing credit cards, but being able to accept additional forms of payment will only increase the pool of customers that will shop in your store.